Comfort guaranteed at EHF FINAL4 with specially designed seating positioned in the substitution areas. Vienna, 03 May 2010 - The Dauphin Human Design Group, one of the leading office furniture manufacturers in Europe, is to become a partner of the EHF Champions League FINAL4, which will take place in front of over 19,000 people in the LANXESS arena, Cologne on 29 and 30 May 2010. The investment from Dauphin will enable the Germany-based company to present their products at the biggest club handball event of the year and to many more millions of people across the world watching on television. The cooperation will see specially designed, EHF Champions League and Dauphin branded seating positioned in the substitution areas for all four matches of the new final phase of the EHF Men’s Champions League. The company’s brand will be presented on EHF Champions League EHF FINAL4 branding and the event’s website at www.ehfFinal4.com. The EHF FINAL4 is the brand new final phase of the EHF Men’s Champions League. The four best men’s teams in Europe will compete in the LANXESS arena, Cologne over two days and in one venue to decide the winners of the 2009/2010 EHF Champions League season. 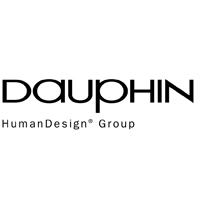 The Dauphin Group has become one of the leading office furniture manufacturers in Europe with its 22 subsidiaries and manufacturing plants as well as numerous license partners and agencies in more than 63 countries. Dauphin solves seating problems. The brand name stands for patent innovation and healthy sitting world-wide. Approx. 2,000 chairs are manufactured daily in the company’s production plants, approximately 1,500 thereof in the company’s headquarters in Offenhausen near Nuremberg. There are further production plants in the USA and Switzerland. In 2009 the Dauphin Group with its 738 employees achieved a turnover of about 111.0 million EUROs . The company distributes its products in Canada, Australia, Great Britain, France, Italy, Belgium and the Netherlands.